How to watch When Heroes Fly: Season 1 (2018) on Netflix Canada! 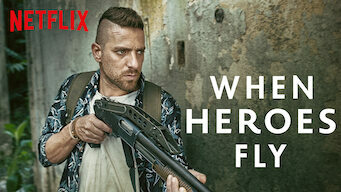 Yes, When Heroes Fly: Season 1 is now available on Canadian Netflix. It arrived for online streaming on January 10, 2019. We'll keep checking Netflix Canada for When Heroes Fly: Season 1, and this page will be updated with any changes. Years after a bitter falling out, four Israeli military veterans reunite and travel to Colombia in search of a loved one they'd presumed to be dead. Friendship forged under fire, torn apart by trauma. Can they endure the reopening of old wounds to fulfill a final mission? Season 1 of When Heroes Fly has 10 episodes. Because different Netflix countries have different availability for episodes, you'll need to check the episode listing below to see which are available in Canada. 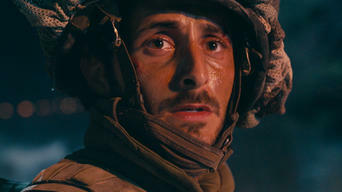 A decade after a deadly military mission, traumatized Aviv receives a photo that forces him to question the death of his ex-girlfriend nine years ago. As the foursome frantically debate their next move, tensions run high between Dubi and Himmler. All the while, the Pale Father's legend looms large. Aviv, Dubi, Himmler and Benda venture into the heart of the jungle. The Pale Father displays his powers of persuasion. As Yaeli thinks back on her life after the accident, the four friends edge closer to her location, and the walls begin to close in on the corrupt. While investigating a deadly drug in Tel Aviv, a tenacious police detective makes a connection that stretches all the way to South America. 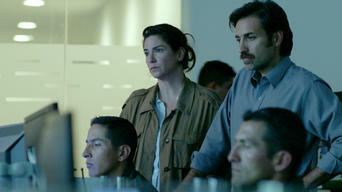 Memories and hallucinations flood Aviv's subconscious. Himmler has an unexpected reunion. With Benda in bad shape, Dubi makes a difficult call. Aviv has a painful reunion and cuts a dangerous deal. Dubi takes a great risk in hopes of attracting attention. Boaron ties up loose ends. 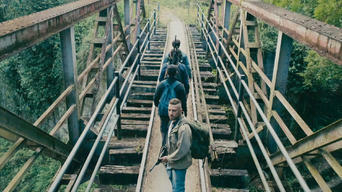 As law enforcement descends into the untamed jungle, Aviv, Himmler, Dubi and Benda come face-to-face with an uncertain future.